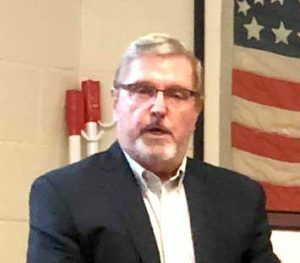 In 1989, our April Post meeting speaker, retired airline pilot and USAF veteran Art Krull, found himself co pilot of a domestic Delta Airlines flight which was hijacked to Cuba. Art’s account of the harrowing experience of the passengers and crew was well received by the membership. The hijacker, who’s intent was to take the aircraft on to Iran, was eventually convinced that this particular airplane lacked the range to reach Iran from Cuba, eventually surrendered to Cuban authorities and the flight was allowed to return to the U.S.
Art was invited to speak by our comrade, retired USAF Lt. Col. Jay Hansen. Krull, Hansen and your commander are all bass members of the Mill Creek Chorale.